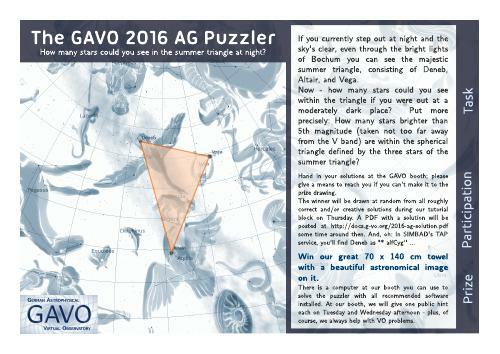 Every year, several hundred astronomers congregate in a city in Germany or Austria for the annual meeting of the Astronomische Gesellschaft. 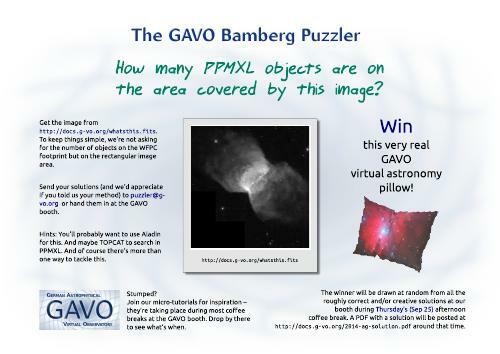 GAVO is there, too, and since 2014 we've always brought a prize with us (usually soft and fuzzy). 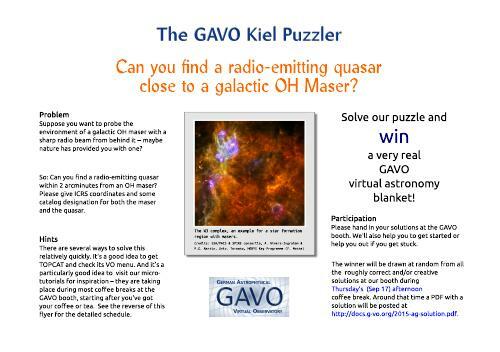 That prize went to someone (drawn at random, of course) who could solve The Puzzler – a little, hopefully entertaining, astronomy-inspired problem solvable using VO tools. 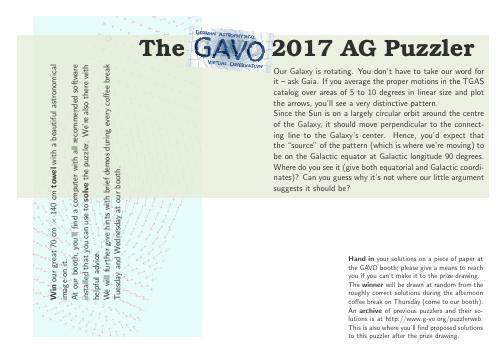 Here are the puzzlers from the last years – and some proposed solutions (don't spoil it for you by peeking at these too soon). Of course, no prizes are to be won any more. But you'll probably still learn something about the VO by trying these. Unless noted otherwise, all material on this page is put in the public domain under CC-0 .